You know how it is – all nationalities have their unique stereotypical traits. With Germans it’s all to do with hogging the sun loungers on holiday while the Brits just can’t get enough of queuing. The French are snobby about food and Italian men fancy themselves as irresistible Romeo-type figures. When it comes to South Africans one stereotype concerns gender differences ie the men are masculine and the women oppressed. 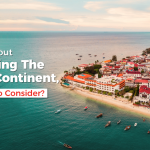 Mostly stereotypes are complete generalisations and nowhere near the truth – as a visit to any of the countries mentioned above will testify (except maybe Britain since the Brits really do love a good queue from time to time). When we say ‘prancing’ we mean dancing. In other countries when people protest about politics, wage cuts, factory closures etc, they march and chant. In South Africa we dance and sing. To other nationalities that’s a concert and a fun day out! In South Africa we’re so used to sticking to the left and passing on the right when we’re on the road, going up escalators and getting around in general – to the extent other nationalities who visit can become a cropper even just taking a jaunt down a busy street. All nationalities have idioms and specific turns of phrase that mean certain things which aren’t immediately obvious. And South Africa is no exception. Our use of the expression ‘now now’ when we mean something to be far into the future rather than immediately is one of them. Yep, we like to be comfortable when we head for the sand and sea. And why not? Often though it involves a good hour to get ready. Well, by the time we get our collection of deck chairs, small fridge, music accessories and food for throughout the day, we’ve pretty much filled the car boot – and the back seat. In Britain they bring out the cheese board after dinner, in Germany it’s apple strudel in South Africa it’s…. deep fried caterpillars. That’s not a custom that’s been picked up by the rest of the world, strangely…. Here in South Africa it’s not uncommon to switch languages and dialects three times while conversing with someone. Other nationalities wouldn’t simply just not understand what was being said, but they would find the whole process extremely bizarre. By this we mean the way we say ‘sorry’ all the time – even for something that’s not our fault. It could be because your friend is having to work late or they have stumbled and twisted their ankle. Yes, we didn’t cause the unfortunate incident, but we do feel ‘sorry’ for them and it’s our way of saying so. 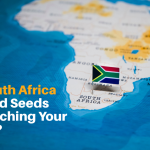 There are many more South African traits that foreigners just can fathom and we’re sure you can come up with some yourself. In the meantime, if you’d like help with understanding other languages and cultures for your business then do get in touch. 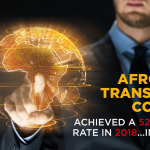 At AfroLingo in Cape Town we provide a range of translation and localization services for international businesses looking to get a local hold on their market. 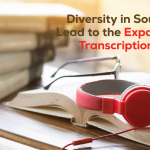 This includes Software Localization, Mobile Localization and Transcription. We also cover a range of different languages such as AfroLingo include Afrikaans, Swahili, Somali, Zulu, Setswana and Twi, amongst others. 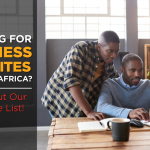 See www.afrolingo.co.za for more details and to see what we can do for your business today.